Self published Tarot decks are some of the most unique and endearing decks around, they just seem to have that special quality that is often missing in their mass market counterparts. I’ve been really excited to see that “crowd funded” websites are starting to gain in popularity and giving many exceptionally beautiful Tarot projects and their creators the recognition that they deserve. Today, I would like to introduce to you The Tarot of Delphi, a fine art tarot deck illustrated with authentic Neoclassical Victorian art from 1838 to 1913. Neoclassical Victorian art should not be just something we go to museums to view… “Oooing and Ahhhing” over carefully matted and framed canvases, hanging passively on sterile walls … Art is only functional if it can inspire us, allow us to heal, motivate us, and take our breath away with gorgeous lines, effects of shadow and light and use of color that evokes deep emotional responses. 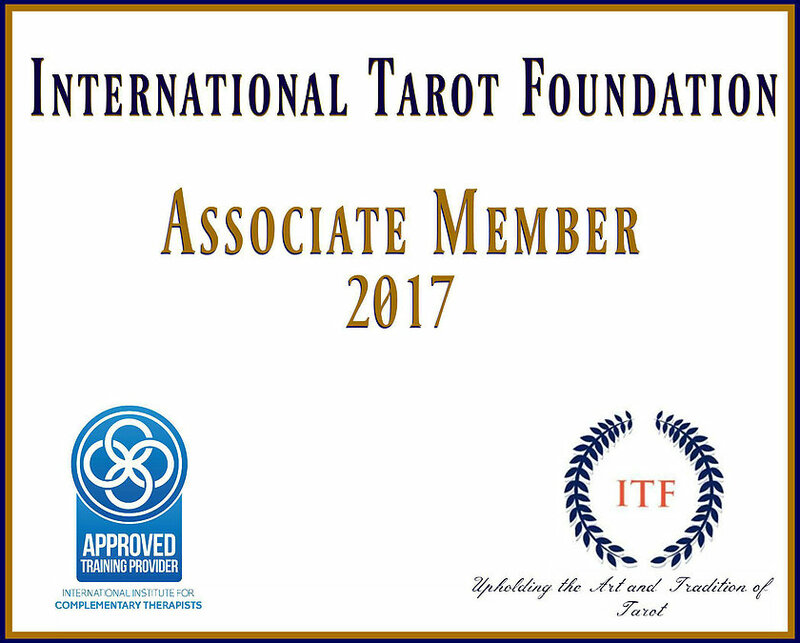 It is a way of communicating with each other, much like the art of Tarot, bringing out the best in all of us. These beautiful paintings are characterized by its highly romantic nature and the influence of historical and mythological themes on its subject matter. Art that was inspired by Classical Greece and Roman architecture. Collaged from examples of fine artworks from the late 1830s to the early 1910s, The Tarot of Delphi is like a Sunday visit to the local museum. A 79 card Tarot deck, with 22 Major Arcana, 40 Minor Arcana and 16 Court cards, (surprise, an extra card! ) a 32-page booklet, packaged and a full-color tuck box. The cards measure 3.07” x 5.04” (78 x 128 mm) and should shuffle quite nicely. 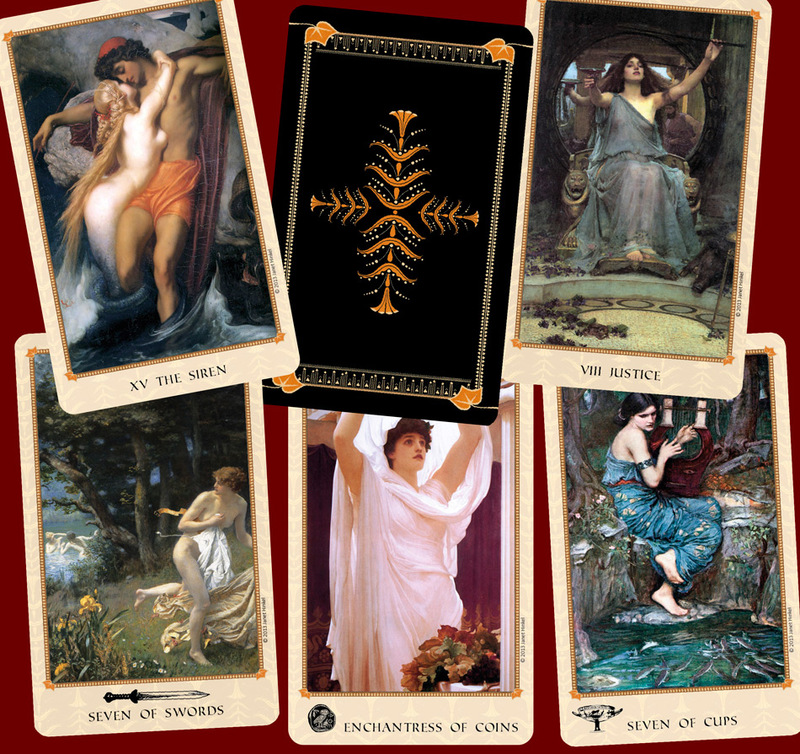 Some of the paintings are well-known masterpieces, and others, while equally as amazing , are relatively unknown and have been more difficult to acquire, as with artists such as Lawrence Alma-Tadema; John Collier; Edith Ridley Corbet; Walter Crane, and Herbert James Draper … these poignant images have made a remarkably attractive tarot deck. This is going to be a beautiful, and inspiring deck, I truly hope you will hop on over to Janet’s Kickstarter Page and see for yourself! Wow, these are so gorgeous!!!! I must have these! Lovely deck, thanks for sharing!